You know the important role marketing plays in your dealership. But, with all of the digital channels available today, it’s increasingly difficult to understand the different options and how they work. Naked Lime's VP of Sales, Chris Walsh, was interviewed by Reynolds and Reynolds to gain more insight into how dealers can take full advantage of their digital advertising options. In the first of the series of interviews, Chris discussed one way dealers can use targeted marketing to get more leads out of their DMS database. Dealers collect a lot of customer and vehicle information in their DMS database. Is there a particular way dealers are not taking advantage of all of that data? Many dealers miss sales opportunities because they have boxed themselves in with an old way of marketing. They use their current customer data to bring people in only for service, because they think those customers aren’t ready to buy a new car. But, they could leverage that same DMS data to disrupt the buying cycle and bring their service customers into the sales funnel sooner—before the customer even knows they are in a position buy. Instead, another scenario often plays out. Dealers perform a costly service job on a vehicle and the customer pays the bill, only for a salesperson to reach out a short time later with an offer on a new vehicle at a lower payment. Now the customer is annoyed. They may not have even wanted to buy a car, but now the dealer has made a compelling offer with really poor timing, and demonstrated a lack of communication between service and sales. Qualifying that sales opportunity against specific criteria before the service work happened would have prevented such a mistake. The sales team could prepare a customized vehicle offer and approach the customer right in the service drive. Making the offer this way is a win-win for everyone. The dealership gets a vehicle sale. The customer gets a new vehicle and, based on a positive dealership experience, is more likely to return for more service work. So how do dealers go about identifying these leads? It’s possible for dealers to search their database and match up the criteria themselves. But, most dealers find it time-consuming and requires a lot of cooperation between the service and sales teams to share information. It’s hard to manage and dealership turnover can delay, or even halt, the process. Because of these difficulties, the trend we’re seeing is that dealers turn to service providers with the tools and know-how to identify the best quality sales leads in the dealer’s database. The service provider can deliver hand-picked leads daily to dealers. Dealers can then present the offer to customers and close the sale. The end result is better qualified prospects and higher closing ratios and gross profits. You mentioned specific criteria used to pinpoint quality leads. Could you talk a little bit more about that? There is a whole host of criteria dealers can look at to make sure prospective leads are worth the resources necessary to reach out. Equity position, transaction type, payment, interest rate, model—these are just some of the ways to sift the data to the best possible leads. It goes back to just knowing where to look. Those leads are hiding in plain sight in the dealer’s database. Service providers can help dealers find those leads more effectively and more efficiently. In turn, dealers can focus on serving customers and selling vehicles. 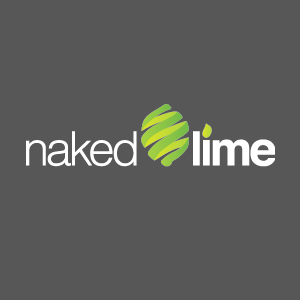 Check back for future interviews with Chris, or you can call 855.NKD.LIME or email info@nakedlime.com to talk with us about his insights from this one.